How To Get More Free Google Drive Cloud Storage Space? 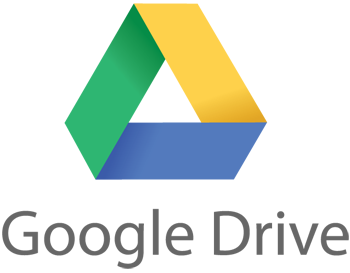 Google Drive is the cloud storage service from the search giant Google. Google offers to all users 15 GB space which can be used across various Google services like Gmail, Google Plus, Google Drive etc. So, you can use the full 15 GB as cloud storage space on Google Drive only if you do not use any other Google service. The 15 GB gets used up pretty quickly if you use services like Gmail extensively and this drastically reduces the available cloud storage space on your Google Drive. Google generally offers additional free cloud storage space to promote its products, but there are a few exceptions to this. So, if your whole tech life is centered around Google, you could easily snap extra free cloud storage space from Google. Do not worry even if you are not one of those Google fan boys. You could always buy additional storage and Google Drive is one of the cheapest cloud storage service out there. Also See: How To Get More Free Cloud Storage On OneDrive, Copy, Bitcasa & Mega? You need to own any of the devices listed below to get more free Google Drive cloud storage space. 1. Chromebook: Google offers 100 GB more free Google Drive cloud storage space on almost all Google Chromebooks. After redeeming the offer, the free cloud storage is valid for two years on most Chromebooks, while it is valid for three years on Chromebook Pixel. The exceptions to this offer are Samsung Chromebook Series 5, Acer AC700 and Cr-48. 2. HTC One (M8): If you own a HTC One (M8) you get an additional 50 GB free cloud storage on Google Drive for two years. Download the Google Drive app on your HTC One (M8) and log-in with your Google account to redeem your free storage. If you own an older HTC One, you can update it to Sense 5.5 and claim an additional 25 GB of free Google Drive cloud storage space. 3. Moto X and Moto G: Google, the brief owner of Motorola is showering an extra 50 GB free cloud storage space on any one who buys a Moto X or Moto G. The offer has to be redeemed within thirty days of activating your Motorola smartphone. Download and log-in to the Google Drive app with your Google account to redeem the offer. The free storage is active for two years. Previously, Google has given away an additional 10 GB Google Drive cloud storage to anyone who links their Google account to Quickoffice. So, lookout for similar offers in the future to get more free Google Drive cloud storage space. Next post: How To Get More Free Cloud Storage On OneDrive, Copy, Bitcasa & Mega? Previous post: How To Get More Free Box Cloud Storage Space? Both you and me will get extra storage :) Winner! gulraihana sayed omar ebrahim omar does it work. I got 2gb extra space for lifetime by completing privacy and security of my gmail account. I am not joking! how bro can you show me..?? Hi, just so you know today you can get free 2GB free google drive storage as you asked about. Just check your account details then it’ll be there…. if you loginto your account you have to click the ‘upgrade storage’ button to see your 15gb go to 17gb. You can get the link on gizmodo here…. it’s all over the web today. Ethical issue aside, there is a way to get more drive space from free. All you have to do is create a gmail account under a different username, like davidsmith1999@gmail.com, 1999davidsmith@gmail.com, david1999smith@… Each username gets 15 gigs free. I’ve been doing this for a long time and it’s clear that Google doesn’t check ip addresses and such. I’ve been doing this for a long time and am able to access all the accounts from either my cell or PC.